TB 46: Erika De La Cruz - Vidal Cisneros Jr.
Meet Erika De La Cruz, Erika has been featured on ABC News Radio and she’s a media and television personality, specializing in on-camera features, as a film and fashion runway television and radio personality host. 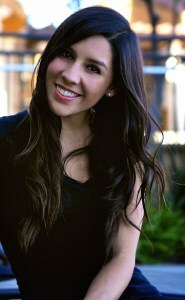 Erika is the youngest ever marketing director at Entercom Broadcasting. Erika has broadcasted on shows that reach audiences of half a million plus and is the official host of Fashion Week San Diego. Erika interacts with the local community on a day-to-day basis, working closely with non-profit organizations like Susan G. Komen® and Make-A-Wish Foundation®. Her personal interests include running, film, all things “Disney” and of course, fashion. Mindset empowerment – Your story matters. Keep in mind – You’re more than enough. Create human connection and lasting relationships to serve others with nothing in return. Take action and follow through on sincerely serving others. Listen as Erika shares her story and how she went from a 19-year-old homeless college student living out of her car, to celeb media personality.